And out through his mouth came some bubblin drool. Hick that is, country bumpkin, St. Louis Hillbilly. So he loaded up the truck and moved to Wrigley. Field, that is. 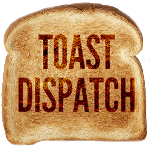 Losing teams, High murder rates. Well now its time to say goodbye to Slaten and all his puke. And he would like to thank you folks fer kindly droppin a rebuke. 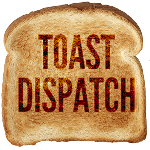 St. Louis Toast Dispatch that is. Set a spell, Take your shoes off. Y’all come back now, y’hear?.